It's currently February and we're playing TRANSARCTICA. There's still about a week and a half remaining, so if you haven't checked this game out yet, go play it now. If you have played it, please use the forums to let us know what you think. We use your input for the podcast we'll make at the end of the month, so it's really appreciated! Now in January we've been playing HEROES OF MIGHT & MAGIC (1995, New World Computing). There was a lot of interest in discussing this great game, so we ended up with no less than five people on the show. Joining hosts Martijn ("Tijn") and Florian ("rnlf") are podcast regulars David ("DavidN") and Oddvar ("dollarone"). Also newly joining us is Joshua ("vede"), who actually has been a member since the very beginning and is also a regular on our chat channel. Sadly David had to leave about an hour into the show, so from that point on we finish the episode with the four of us. P.S. We were very happy to have Josh on the show at this particular moment, because he has recently made a videogame of his own! It's a System Shock-like first person shooter called "The Communist Dogifesto". In the game's alternate timeline, you are fighting robo-dogs on a Russian space station. If this sounds interesting to you, you can find the game on either Steam or DRM-free on Itch.io. When we'll be done with TRANSARCTICA in a week and half, March marks DOS Game Club's one year anniversary! Unbelievable that it's been a year already that we've started this little club of ours. We've met loads of interesting people and had fun playing some great (and less great, haha) games along the way, so all in all we think it's a great success. Thank you all for taking part and we hope to keep doing this for a long time to come! Last year the game that kicked us off was DOOM. 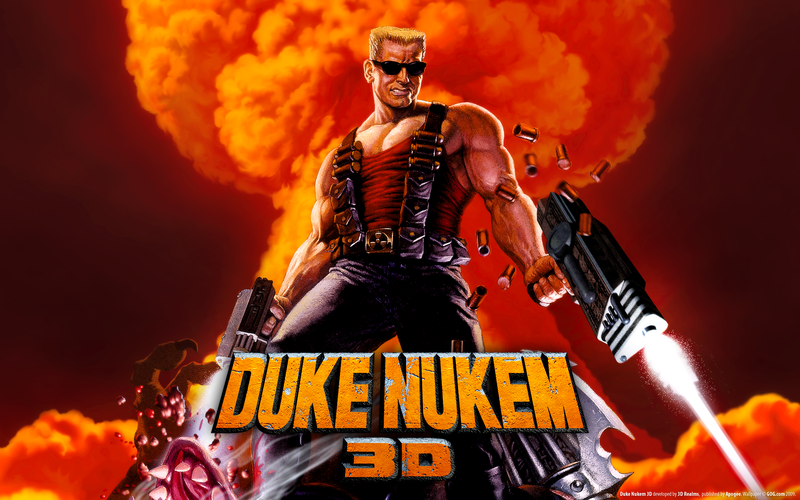 We figured we should continue the trend and play a real banger, so we chose to play DUKE NUKEM 3D coming March. That should be loads of fun, right? That's all we've got for now. Thank you and until the next time!